Summer is here and RetroBike Rides are occurring all over the British Isles. May was a particularly active month with the Forest of Dean witnessing one of RB’s finest events to date as it hosted Round 3 of our National Ride Series. June promises to be even more eventful with Mountain Mayhem highlighting the calendar. This year with have in the region of 50 riders taking part in the race, but also a Flea Market and concours event on the Friday night all in conjunction with the usual BBQ, beers and bizarrely the institution that is Jenga! So even if your not riding please come along and enjoy the party. Retrobike Rides have now been going strong for many years. They have evolved from a couple of dodgy looking characters meeting in the woods to ride their retro pride and joys to groups of up to 40 enthusiasts meeting up to enjoy their bikes, company and trails. In doing so a friendly atmosphere has been created and good riding manners developed, giving Retrobike Rides unique qualities and banter. As always with Retrobike Rides, everyone is welcome and made to feel welcome. All abilities are catered for with the rule being we only get round as fast as the slowest person, with short cuts and chicken runs being planned into the routes. If this appeals to you, please come and join in at one of our National or Local events. 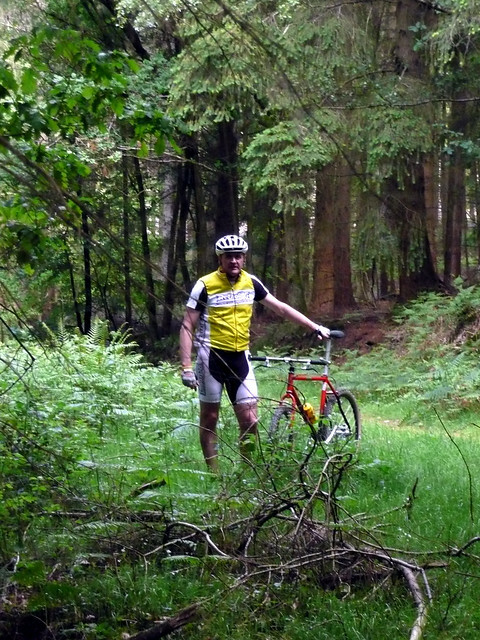 The epic Forest Of Dean meet, May 2011. Rd 1 - Cannock Turkey Twizzler - Cancelled due to weather. *The final round has been opened up for all regions to submit a bid to organise and host it. We’ll then post up their plans and every Retrobike member will have the opportunity to vote on the most popular idea. The event with the most votes will become the season finale for 2011. MacRetro - Contact Kaiser, The Ken, Clockworkgazz or Big Eck for more details. Another quite month for MacRetro but many hatching of plans It did see Super Rado(above) hit 10 under the Ben but he was a lone warrior, still kept the Ecurie MacRetro flag flyin though. North East England & Yorkshire - Contact (AEC is vacant (please PM me if interested), chrisV40 or Kaya for more details. Saw a change of date/ Venue from the advertised Thrunton, it was rearranged to the Hole or Horcum and stared steam trains with cake and some nice trails. This month we have two events for your enjoyment, first is the ever popular Sherwood Pines meet with the Anglin & Linconshire chaps. We will be guided round some of the best off piste trails in the pines. Announcement Here. Next we have Rosedale a North Yorkshire Moors classic ride, stunning views, sweet singletrack and a pub lunch, this has to be mtb heaven.Announcement Here. North West England & North Wales - Contact drystonepaul, mr_ship, Harry Crumb (North West England) mrkawasaki or Sidewinder (North Wales) for more details. 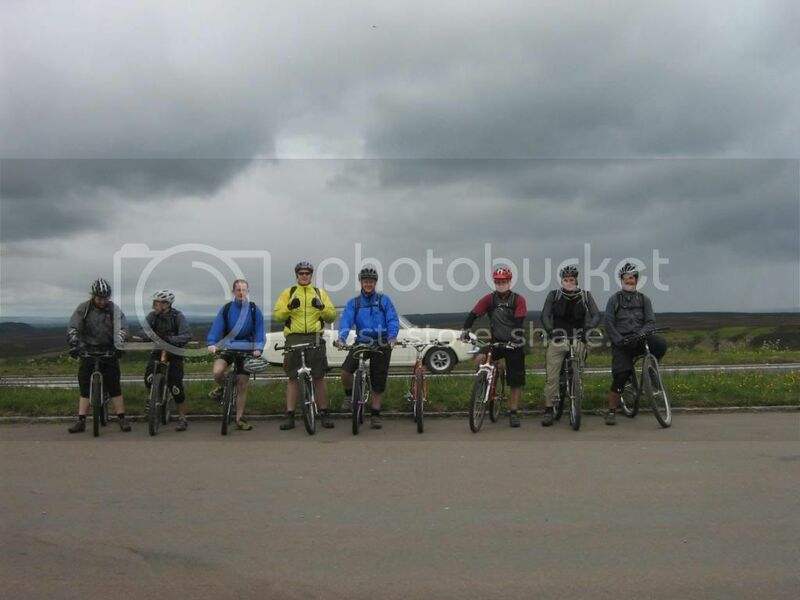 It was a relatively quiet month for organised rides in the North West and North Wales regions, with many focusing their efforts on the long journey down to the national ride at the Forest of Dean. Several NWA riders made the trip though to experience some great riding a long way from home. 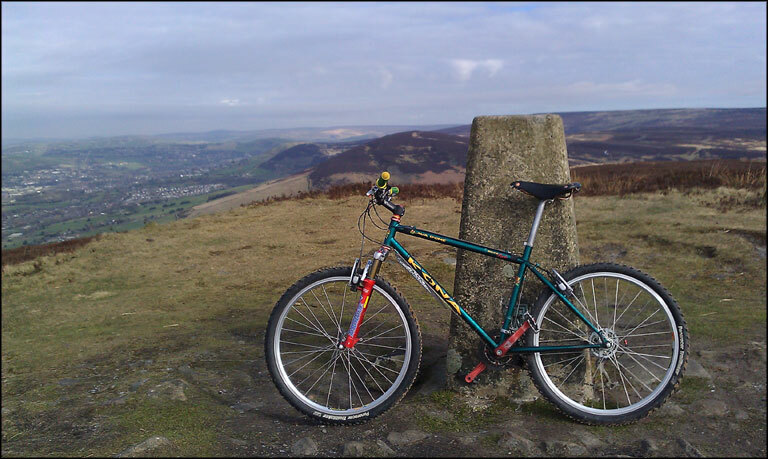 There will be a ride on Hobson Moor to the east of Manchester on the 11th June. MrLee will be showing us around his local patch as pictured above. Then with 10 NW&NW riders spread out over three teams, we will be well represented at this year's Mountain Mayhem. As ever, a warm welcome and more details on the NW&NW regional forum. As always, come and say hello on the North West England & North Wales area section. East Midlands - Contact Orange71 or rc200ti for more details. Saw us in the East Midlands doing our usual Tuesday night rides, riding in Derbyshire and Nottinghamshire this month. Additionally we did a weekend daytime ride in Leicestershire. We have the magnificent 3rd annual Sherwood Pines ride planned for the 5th. Details here. Don't miss this event! Rides continue in the evenings on a Tuesday (here for details). Then many of us are going to Mountain Mayhem in the middle of the month. South and West Midlands - Contact Chris or Ededwards for more details. Was huge in the Midlands with the Forest of Dean National Series Event. Unperturbed by the loss of a guide with less than a week to go, we sorted a ride that had 45 people enjoying the sweetest natural singletrack in the UK (I believe a trademark for that phrase is being processed). Feedback is at http://www.retrobike.co.uk/forum/viewtopic.php?t=149623 but it can't have been completely due to Spencer's custom beer that I heard "the best National Series Event yet". The bar gets ever higher. Anglia - Contact Cannondaleking, REKIBorter or Lou74 (Anglia) for more details. The end of April saw a hastily arranged meet the day after the Royal wedding. Dry dusty trails and warm sunshine greeted us at Brandon Country Park. Chicksands mid-week rides are taking place with a few new faces turning up which is good news. We had quite a few from our area make the long journey over to the national meet which was a fantastic day out. See us on the road again for the trip down to Mountain Mayhem. We have 2 teams from out region taking part. The Flatlanders and the Flatliners. Looking forward we have the 'Gates of Wrath' event on the 24th July. This is a brilliant ride taking in the picturesque villages and countryside of Huntingdonshire. For details of this event take a look here. Lincolnshire - Contact Pickle or Andy B for more details. Saw the 1st meeting of Retrobike at the Bicyclemania Challenge in the Lincolnshire Wolds, all the riders took the 20 mile route option and thoroughly enjoyed the event, 1st rider home was Paininthe with a very respectable 6th place finish in bang on 2hrs, is anyone up for the challenge next year? Can you beat the Retrobike PB of 2hours dead for 20 miles? A few riders from Lincolnshire are also making the trip to Mountain Mayhem in mid June, it's going to be quite an experience! South West England - Contact Jonnyboy666, Makster or Heathy for more details. Nothing to report, but check the forum for regular updates on rides. Please contact sinnett177 if interested. Its getting tight at the top, but still plenty of points to be won. To date 15 riders have completed all 3 rounds and 81 riders have attended! Unknown rider on a Coyote at FoD? * These low scores generally indicate that Sinnett177 couldn’t recognise you and so could only score on basic things like attendance. If you drop him a PM with a description of who you are and what you were riding you will have your points amended. If you've been missed off completely, again PM as above.